If you work out regularly, or uh, at all, you deserve a medal. 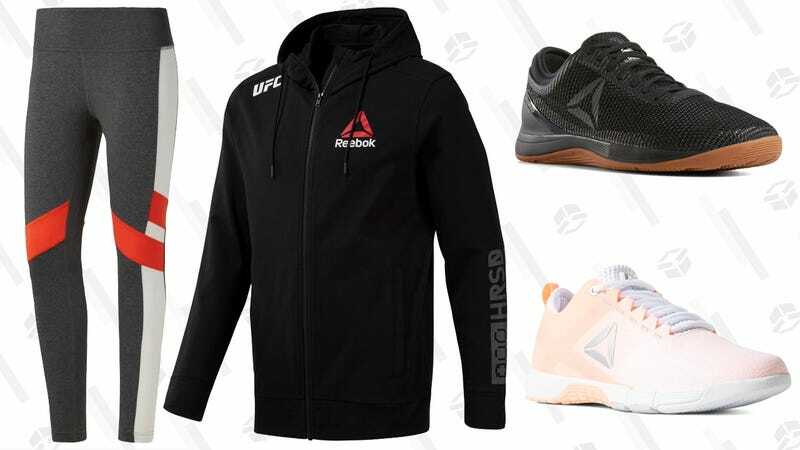 Or just treat yourself to some new sneakers and/or activewear from Reebok. Right now, the sports-minded retailer is 30% off everything on their site, plus an extra 50% off men’s and women’s sale styles with promo code FAM. Chances are, you’ll make good use of these purchased for many workouts to come.